Brendan Pearson, Chief Executive, Minerals Council of Australia, says there is “cause for optimism in the resource and mining sector with export values forecast to increase by 35% by 2020-21, according to the Department of Industry, Innovation and Science’s Resources and Energy Quarterly released last week. 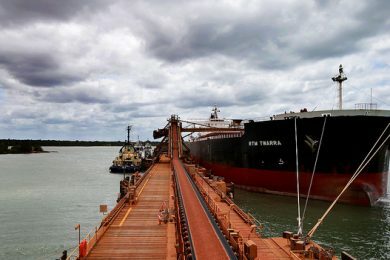 A forecast growth in export volumes with iron ore up 23%, coal 5.3%, uranium 71%, gold 5% and alumina 3% to 2020-21 compared with 2014-15. “With mining continuing to be a major economic contributor with approximately 10% of Australia’s Gross Domestic Product (GDP), it is critical that further steps are taken to remove obstacles to further mining investment and improve competitiveness and productivity. “Recent research undertaken on behalf of the MCA illustrates the importance of reducing company tax to more competitive levels. Australia had the sixth highest company tax rate among 34 OECD countries in 2015, compared with the 14th highest in 2005. Australia’s 30% company tax rate is about five points higher than the OECD average of 25.3%.